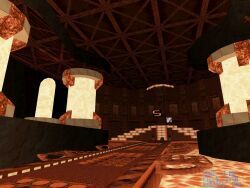 For years making a Half-Life single-player mod was among the things I swore I'd do one day: Half-Life is one of the best platforms for great custom-made single-player adventures. Already in 2003 I drew a somewhat comprehensive plan for a 5-to-7-map Half-Life mod. That project never took off but some of the ideas made it all the way to Fate Reversal, which started as a city map (now the fifth map of the mod) back in December 2007. 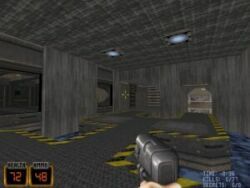 I wanted the player to visit several different locations rather than making another Black Mesa-centered mod. Most of the work was done in the first few months of 2009 and 2010. Like with the Brave New World, I worked on many maps simultaneously to avoid getting bored. Fate Reversal is my biggest work so far (in addition to Duke Tournament, but that was pretty amateurish) and I'm particularly proud of its variety. Trailer here (or here). Reviews: ModDB, PlanetPhillip, SP Map Corner, TAW. This map was specifically designed for the MSDN 10th anniversary update. 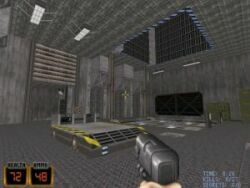 The design idea for Dukecide came from an old map "Steel". 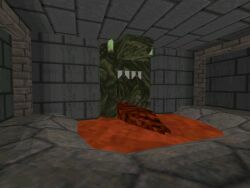 I also took some influences from Quake 2. The map heavily utilizes Duke Plus which adds some extra flavor with Dukebots and new effects. As in "Steel", everything is pretty grey as this is Duke in a very grim world. It's not too big, more like a medium-size map that almost breaks the old limits. Will not work without Duke Plus. Gameplay video available here. 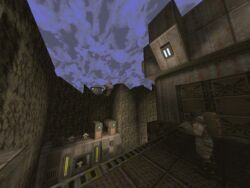 I suddenly dug up GTKRadiant and started working on a new Quake 3 Arena tourney (1-on-1) map, drawing inspiration as I was listening to Sash!. The map got bigger as I worked on it and it expanded into a deathmatch (Free For All) map. 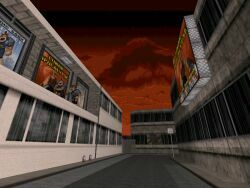 The map uses mostly third party art such as Evillair's set of clean and futuristic textures and Sock's skyboxes. 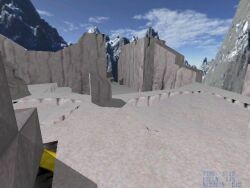 There are two versions of the map in the pack, a summer and a winter version. Gameplay video here. Reviews: LVLWorld. This is a level I should have done years ago. 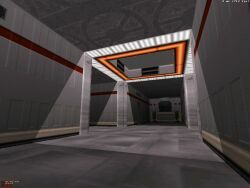 Making a Quake map is something I have wanted to do for years but it took me almost ten years to actually start working on one. 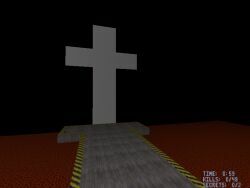 The map was built with Worldcraft 1.6, an editor I learned to use as I worked on the map. 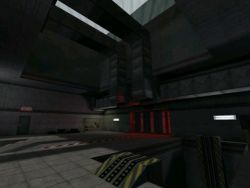 "Distractions" is a hi-tech IKBase/Speedbaze map with a good amount of details and a challenging gameplay. Func_Msgboard topic. Reviews: The SP Map Corner, Underworldfan, The Abandoned Workshops, Quaddicted. 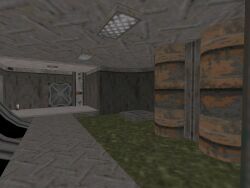 Like "Hidden Zone", this one is another map that was not really made by me but one that I gave a finishing touch in order to save it from abandonment. 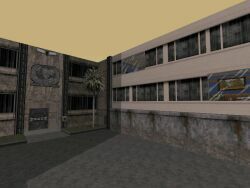 Quakis worked on several similarly themed hi-tech maps and as they were about to be forgotten, William Gee took the scraps, put them together and added some outdoor areas. I added a few rooms, fixed some bugs, finished several unfinished rooms and added gameplay. "Discarded Stronghold" is a Ruin-inspired hi-tech facility. 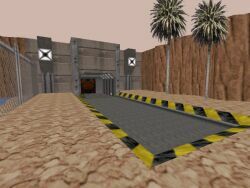 "Hidden Zone" consists of two unfinished levels which were originally made by George-W. Bernard for Chimera TC (a sequel to LR&WB). 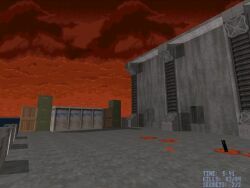 I managed to get my hands on these maps back in 2001. The maps were rather short alone but I decided to combine them into one medium size map. I also added some details and gameplay. There's plenty of new art from Chimera so that you're able to play the map without Chimera (that's not even recommended since it may not run right). Atomic Edition is required and I recommend that you use either of the popular ports. Reviews: The Abandoned Workshops. I started building this map about a week before Christmas. The plan was to have it finished by Christmas eve. This didn't happen. The map was almost done but almost is not enough. Instead, it was left to rot for four months. 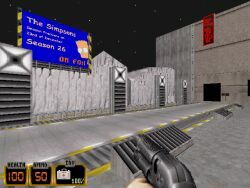 On 20th of April I picked the map up again and decided to have it finished on 21st - the day of MSDN anniversary. "A Winterland Memory" is a medium size winter map that continues where "Earth Base" (check below) left. A new Ice Age has taken over, man has left the Earth and the aliens are occupying it. 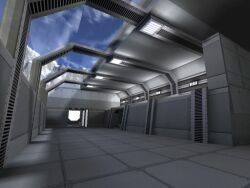 The map comes with two optional skyboxes - pick your favorite. Reviews The Abandoned Workshops, Duke4Ever. Quakis came up with an idea that would unite the Community. The idea was to start a contest where Quakis would provide a very basic sketch for a map which we would then continue the way we want to. Two people (me & Puritan) finished their contest maps but the contest was long gone. 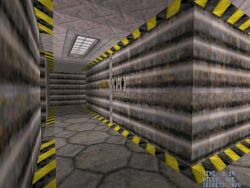 My map turned out to be a smallish, highly detailed, Quake-inspired level with plenty of gray walls & action. There's also a killer skybox that fits the theme. Reviews The Abandoned Workshops. "MikkoVille" is a project I started while I was still in the army. I worked hard during the summer 2004 but then ran out of sectors. I was happy with what I had accomplished and I didn't want to start cutting details in order to finish it. So I waited and finally Jonof released a new version of his port which broke the old sector limit. 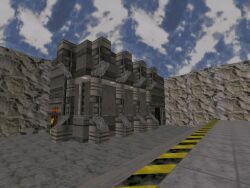 "Earth Base" was therefore the first "Jonof" level. 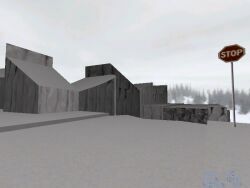 Originally it was a summer map but at some point I turned its theme to winter and added a nice skybox (another Jonof feature). Reviews Quakis Shockwave, DN-R.
Another level which I'm pretty proud of. The first street section belonged to a CBP map that never got released. I liked the part I built for the project so I didn't want to trash it - so I started to build a whole map around it. I never intended to continue the MSSP Episode serie but since this is an "insignificant" release I thought that it'd be a nice addition to MSSP serie. I built it quite fast and ran out of sectors. 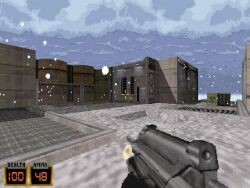 The level was released on my 20th birthday. Reviews DN-R. This is the release I'm most proud of. It has five very different levels where Duke is sent to chase Mikko Sandt - the leader of a multinational corporation. 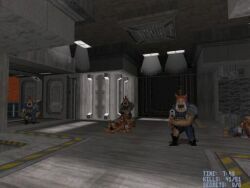 Most of the stuff was completed during the sweaty summer of 2003 and the pack was released only two weeks before I had to leave to the army. The gameplay is pretty basic but I'm proud of what I did with the levels and the storyline should keep you awake. Check the BNW section for more screenshots. 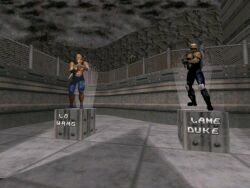 Reviews dukenukem.pl, The Abandoned Workshops, DN-R, AMC. Before I started working on "O'Boy" I had a long break from mapping. 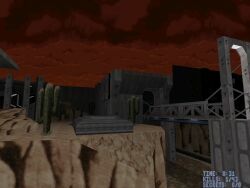 The previous release - MSSP7 - was released in 2001 and then I decided not to build any more Duke maps. I broke that promise and this level is a result of that. It's a medium size city map with some hi-tech parts and cramped outdoor areas. 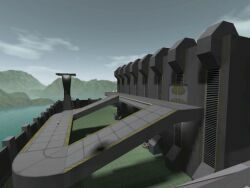 Later it became the first level (with some improvements & extended gameplay) of my "Brave New World" mini-mod. Reviews DN-R, AMC, DukeWeb.